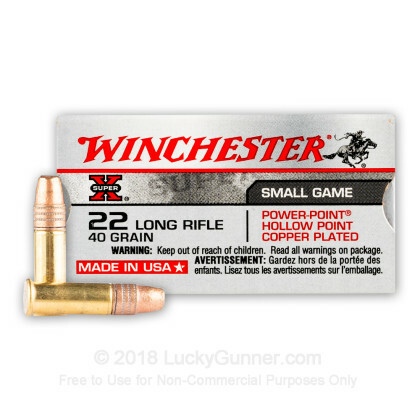 While we all know and love the 22 LR cartridge for its low cost, recoil, and report, this cartridge by Winchester is designed especially for hunting wild game -- although that is not to say that you wouldn’t enjoy target shooting with it, however. Its 40 grain projectile is highly accurate and possesses a hollow point design that permits devastating expanding damage within a soft target. 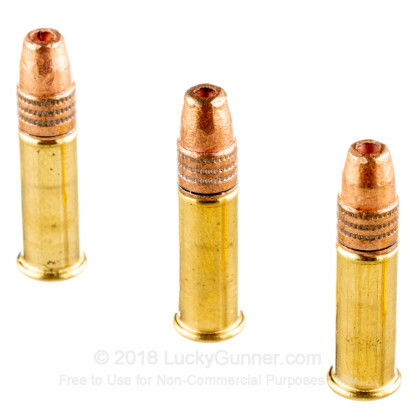 Even the biggest, most vicious gray squirrel in the world would be stopped dead in its tracks by this very capable cartridge. 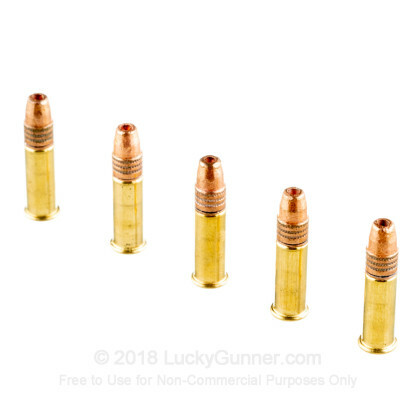 To round things out this bullet sports copper plating that will save your bore against lead fouling, so you can enjoy tight groupings for a long time in between cleaning sessions. 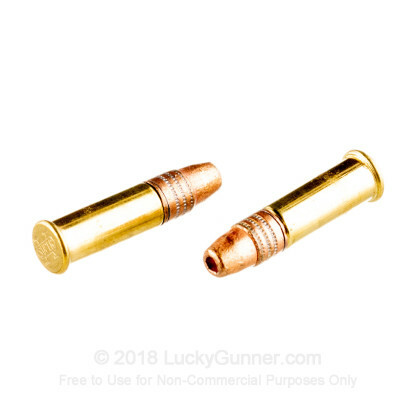 The non-corrosive rimfire primed brass casing only helps to sweeten the deal. 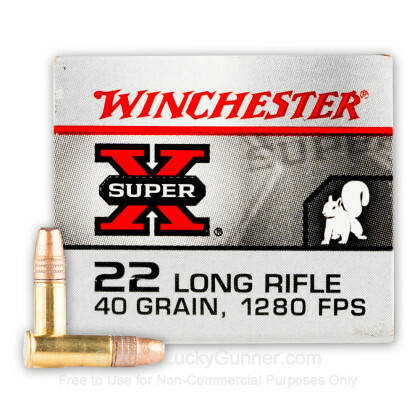 Introduced in 1922, the Super-X line of ammunition has served to present exceptional quality and performance to hunters and shooting enthusiasts. 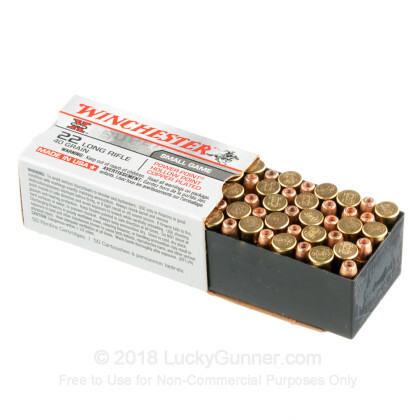 It perfectly compliments Winchester’s already stellar reputation for making fine ammunition.